The discussion about Windows 8 with my colleagues is still on and I finally collected all the reasons as to why some of my colleagues believe that Windows 8 will have trouble finding acceptance. A primary one is the competition that Windows 8 will face than ever before. Lets read ahead about Windows 8’s rivals..
People are craving like anything for iPads. They are investing in iPads like crazy. Many of them are already oozing over the much awaited iPad 3, and after a small number failure beginnings, Android tabs are finally getting down the ground. Microsoft is not even in the race as yet. And we can not deny the fact that Microsoft is falling longer behind day by day. Hence, Tablets will be one of the biggest rivals of Windows 8. Mac and Linux are undoubtedly more stable operating system as compared to Microsoft since they never crash. However, the monopoly that Microsoft created in 90s has been highly entrenched. The rivals had never got a single chance to flourish and even today they have not been able to catch up to the level. Anyways, lets wait and watch. Windows 7 has been doing really awesome for business people. And there are no expectations that business people will make another migration from one OS to another and that too so early. Moreover, Windows 8 has a completely different interface which requires employers to provide training to the entire staff for getting accessible to Windows 8. Definitely not!.. Another possible enemy for Windows 8 is going to be Windows XP because there are millions of XP users who are not at all in a mood to change their OP. Even today many users use XP for presentation purposes. 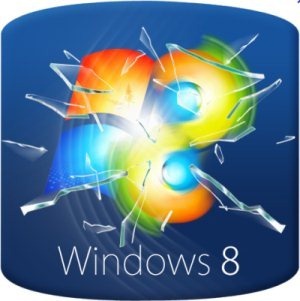 Also, check out our post on 5 Reasons to Look Forward To Windows 8 in 2012. In short, the whole new Microsoft’s upcoming Windows version is going to face tough days. Its going to be difficult for Windows 8 to survive with Google and Apple on tablets and smartphones. However, if Windows 8 actually bring out something equal to the level of hype it has been given, then it might overcome all these difficulties. But, until then we have to wait and just enjoy all such rumors about Windows 8.